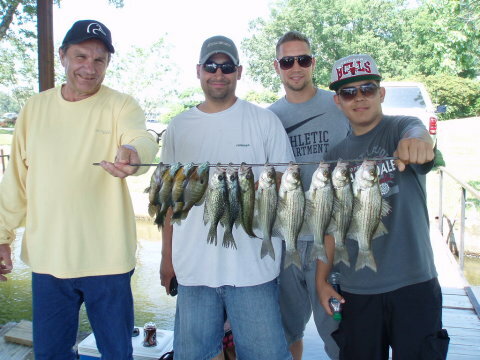 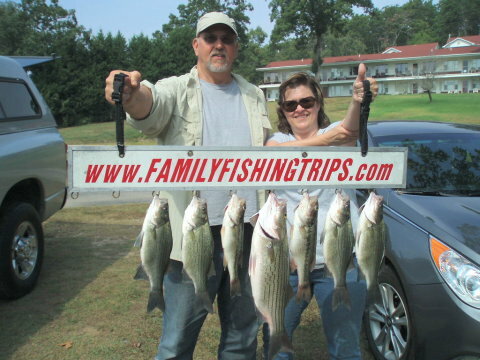 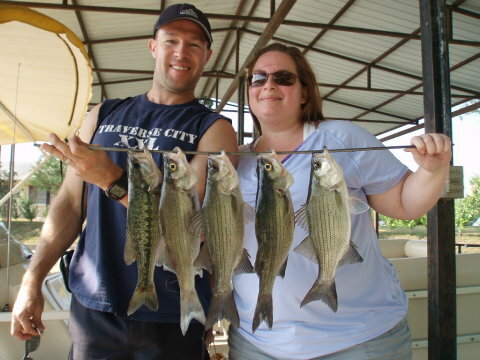 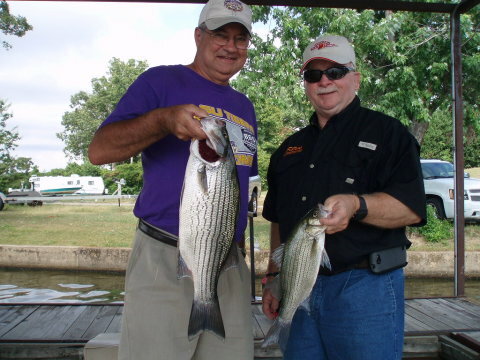 Black and White Bass and Hybrid Striper -- no pictured is the white bass that flipped off the board -- his lucky day!!! 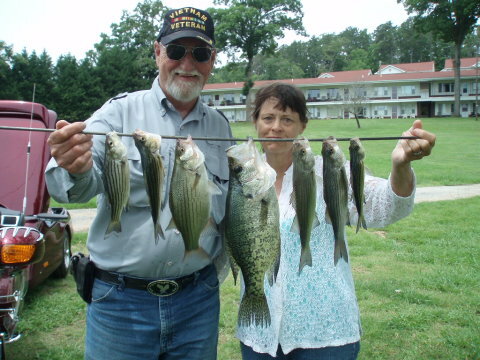 White and Yellow Bass on silver spoons. 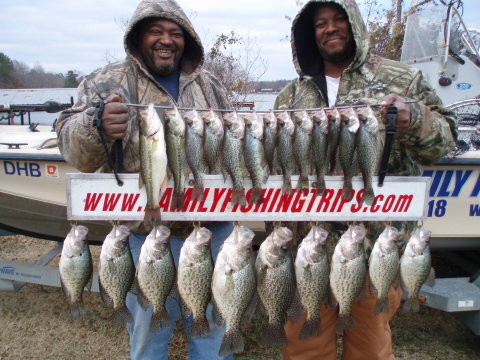 The water is starting to cool off and the bite is early. 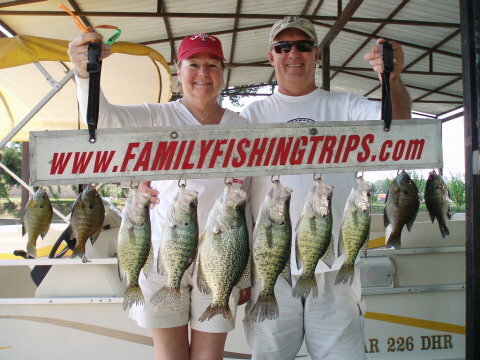 Sorry I have been off the water for several weeks due to some major motor trouble. 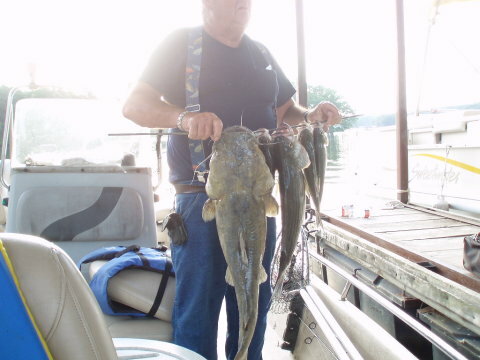 However, with the help of some good friends, I am back on the water and ready to fish. 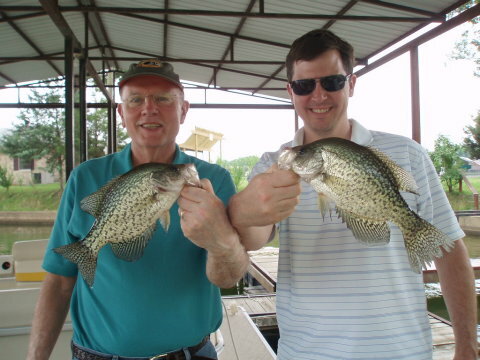 Thanks to all you who called with your concerns and support. 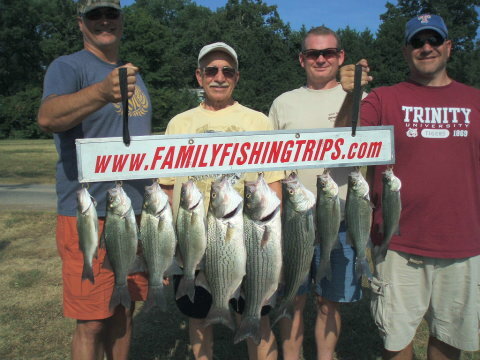 A summertime pattern still persists. 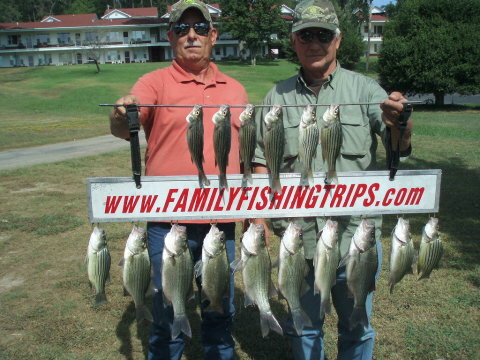 The bass are breaking and surface feeding well every morning. 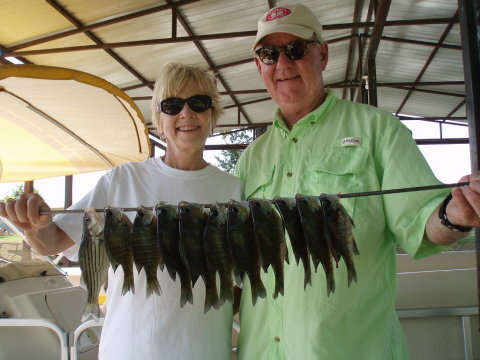 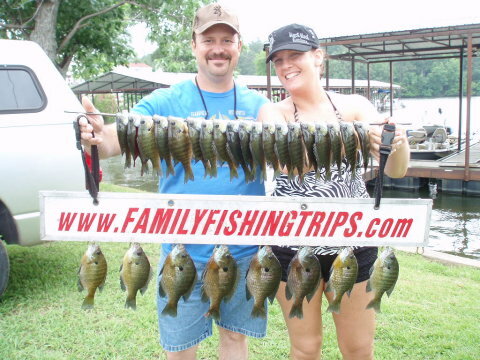 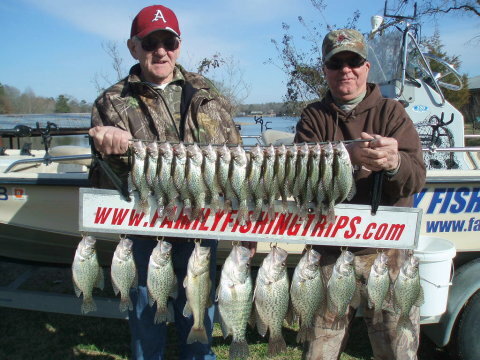 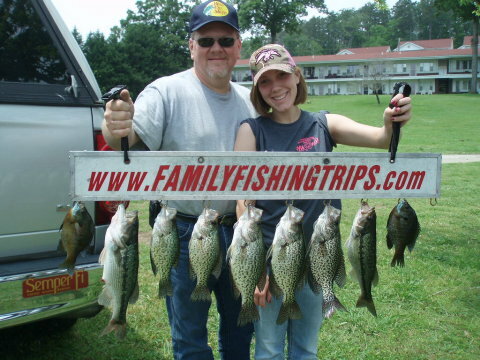 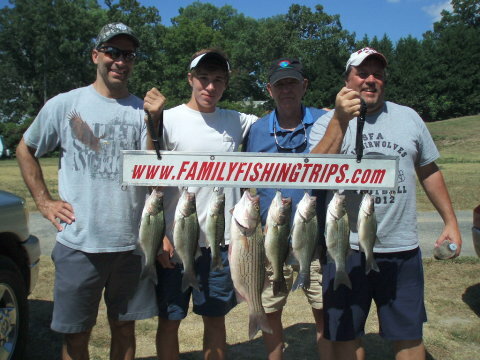 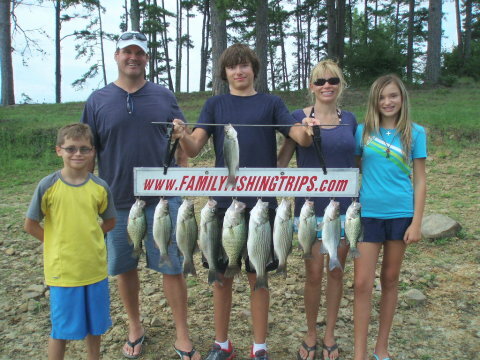 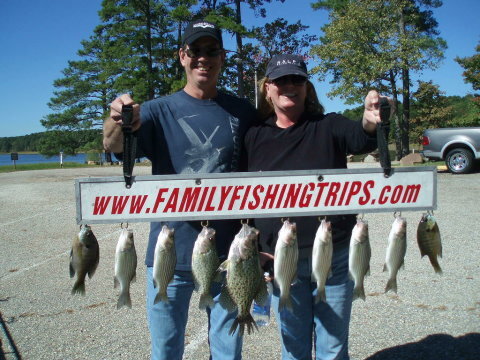 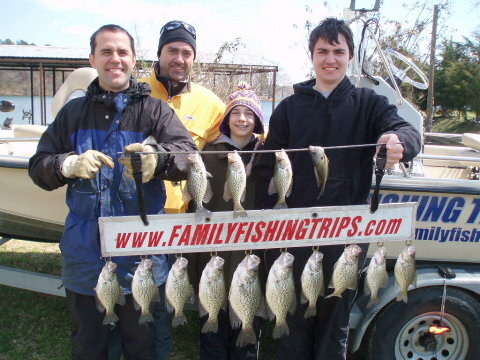 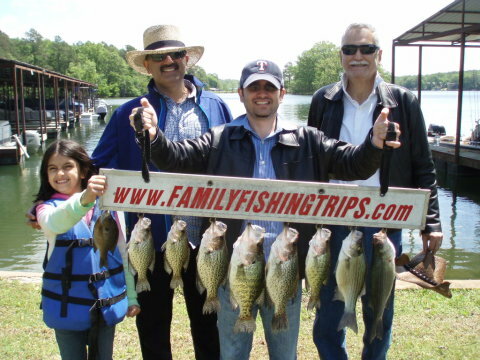 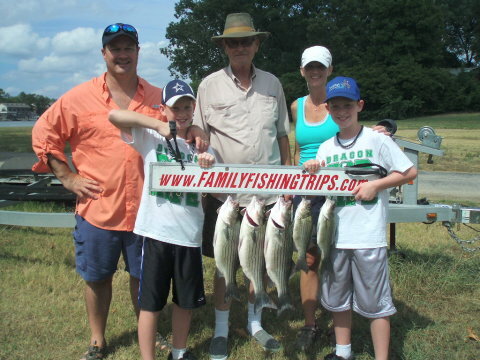 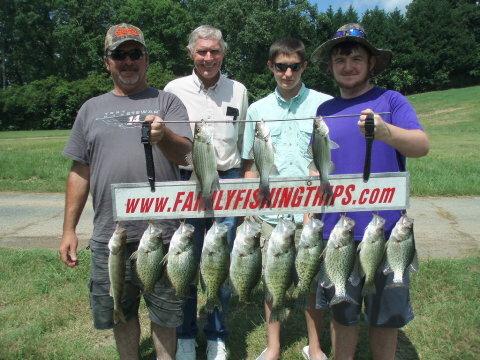 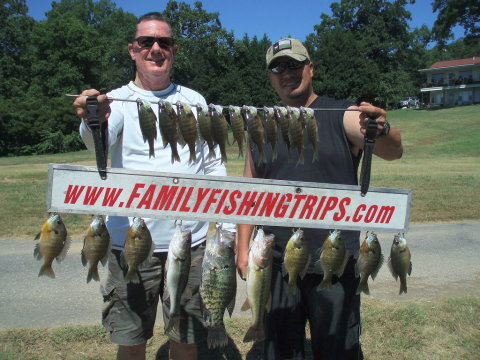 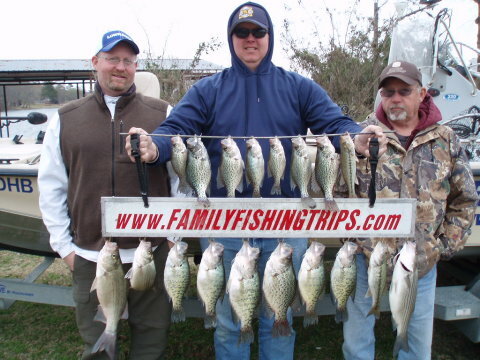 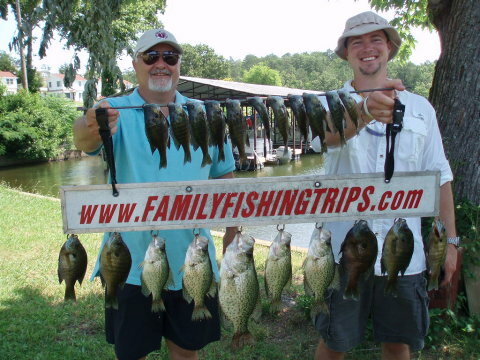 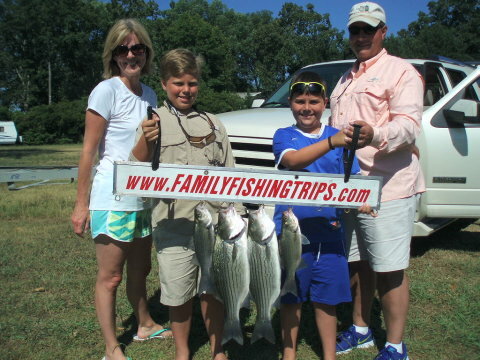 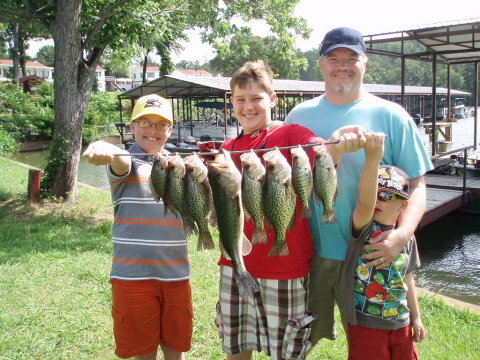 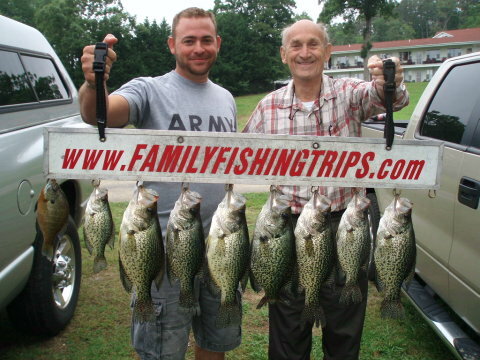 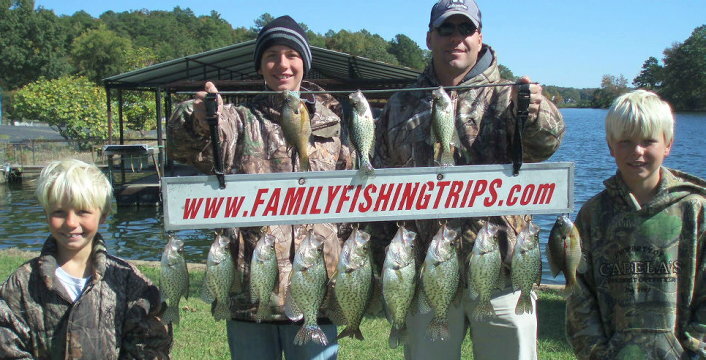 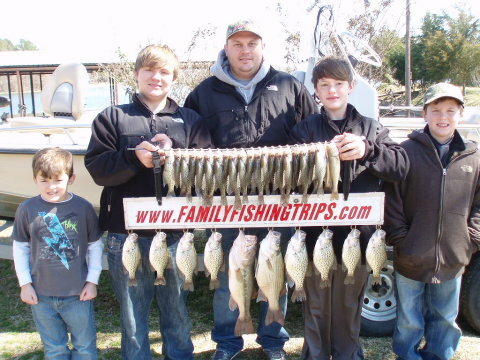 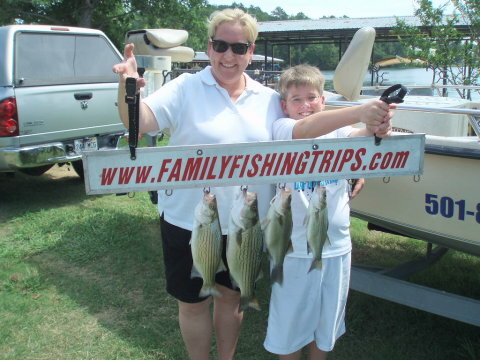 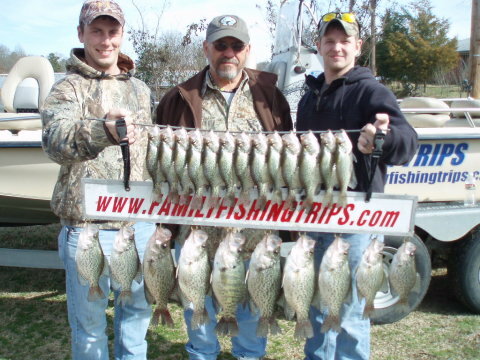 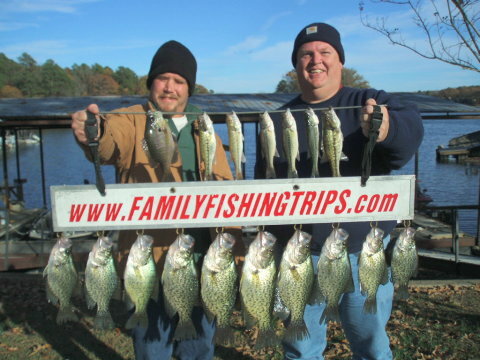 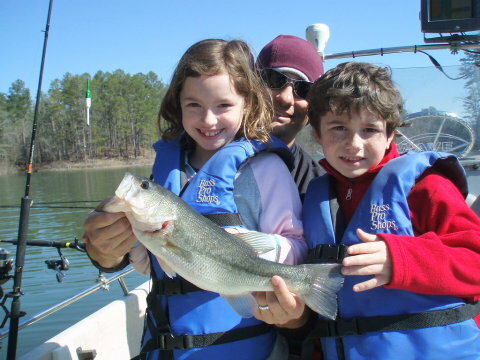 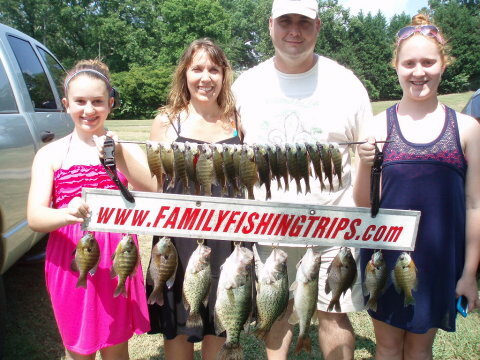 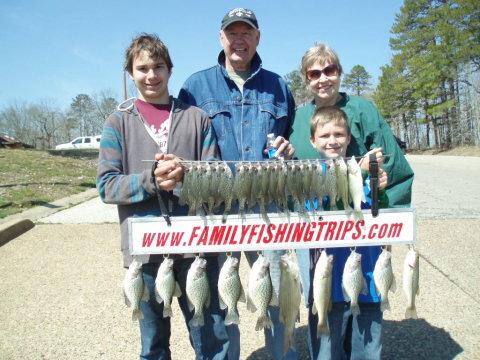 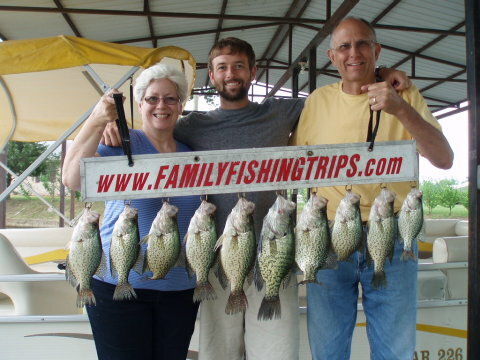 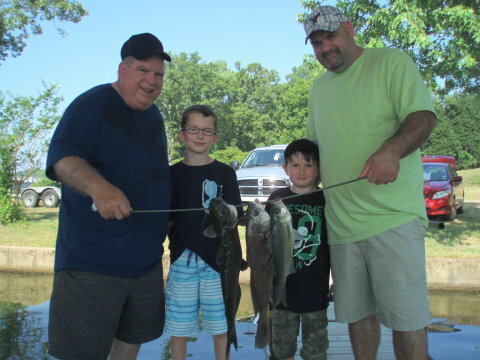 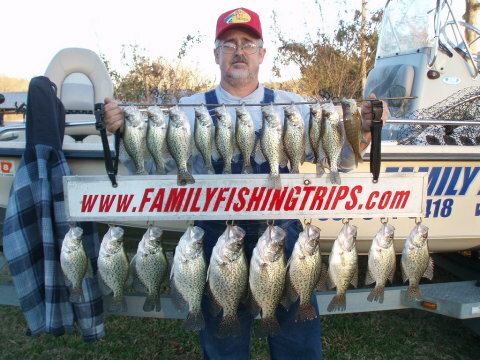 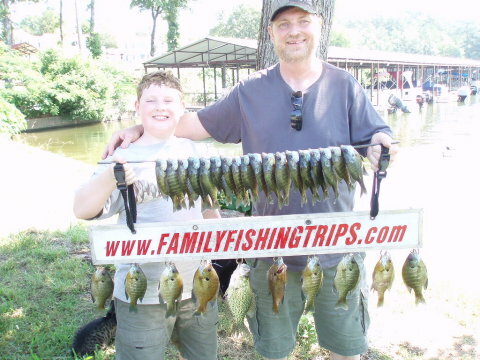 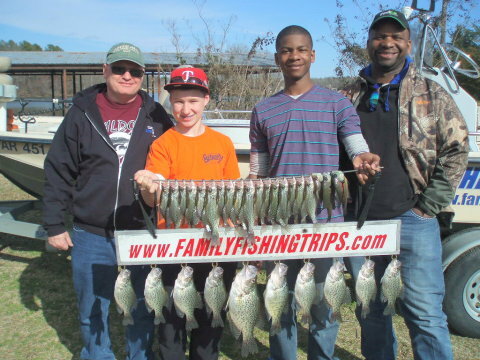 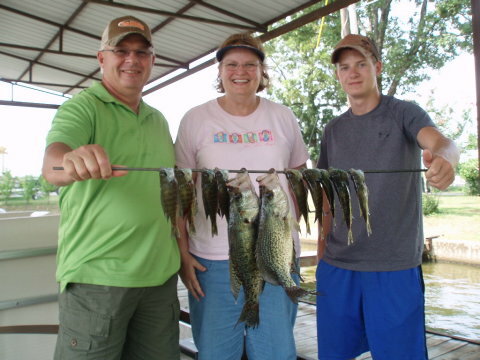 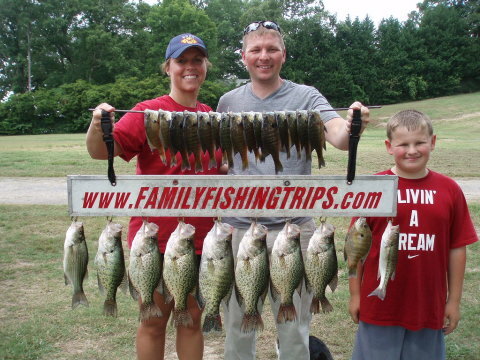 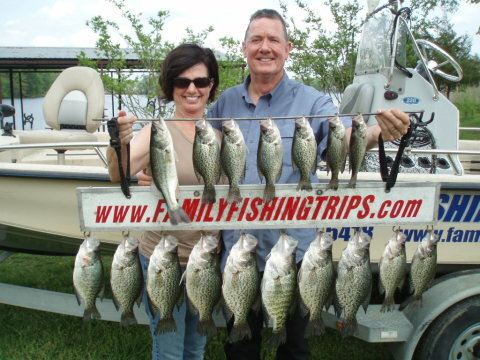 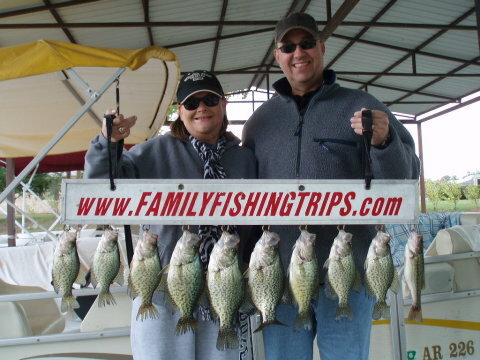 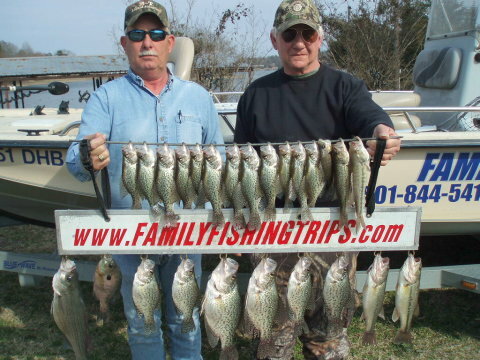 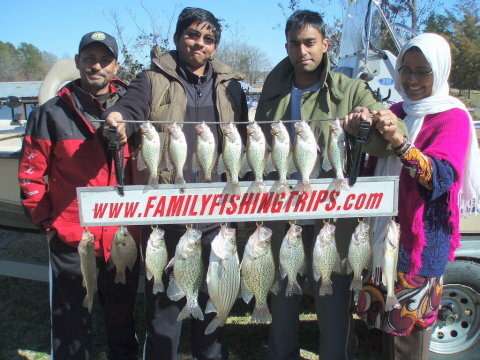 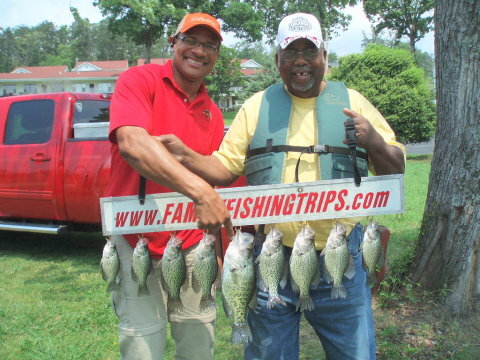 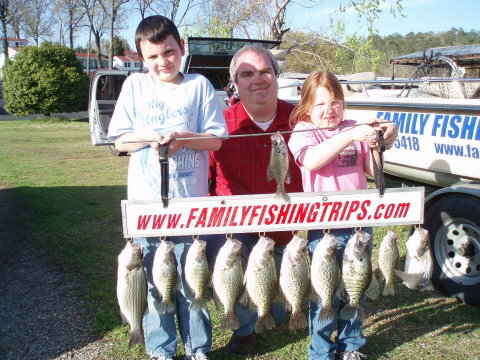 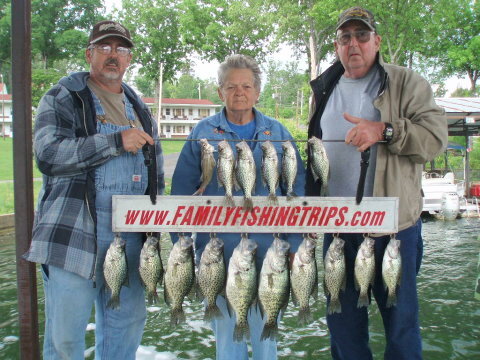 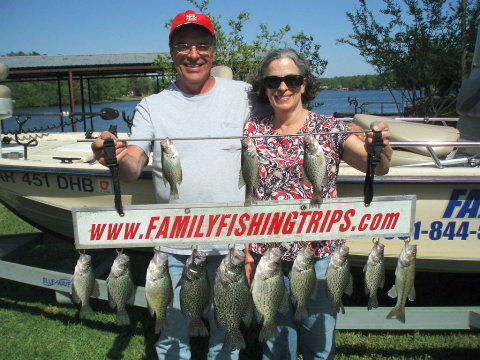 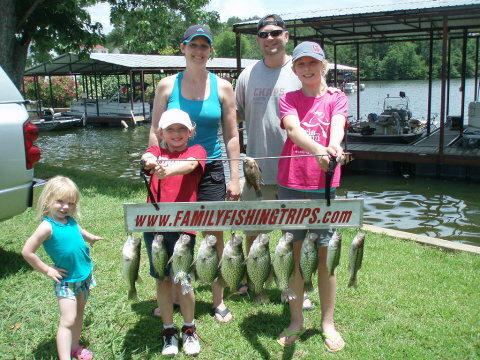 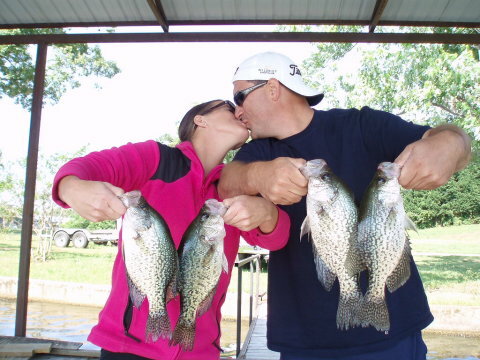 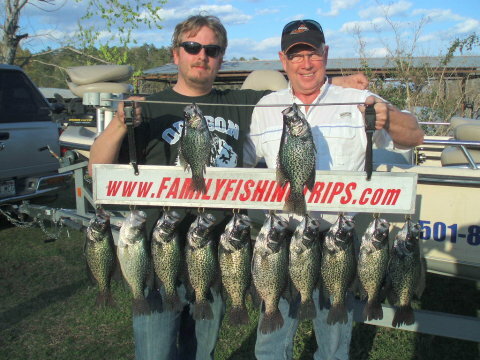 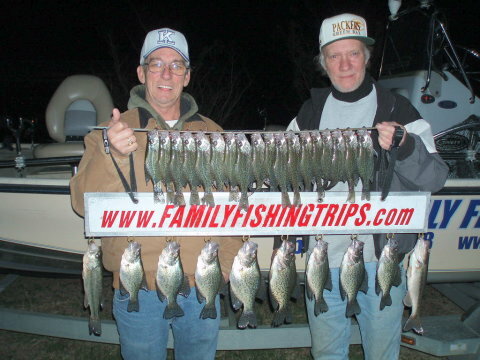 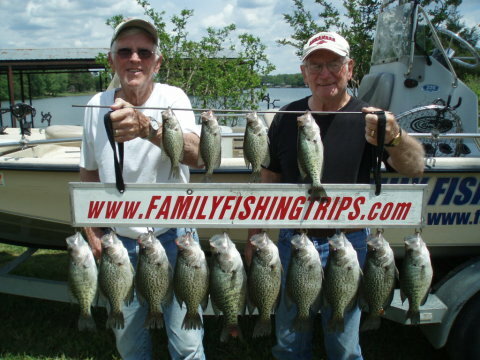 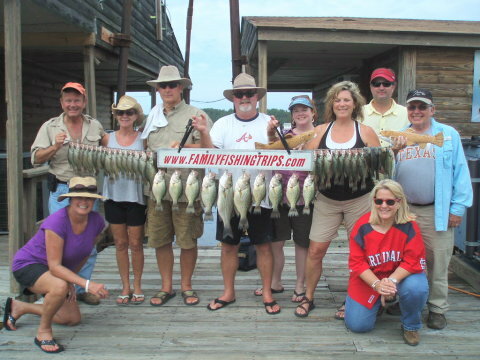 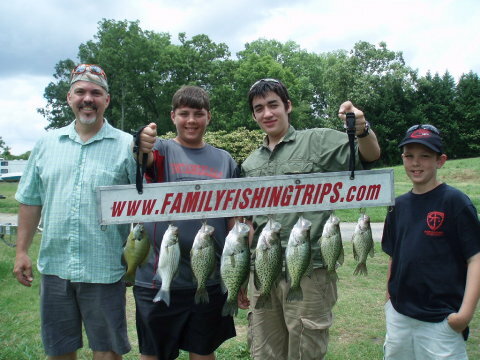 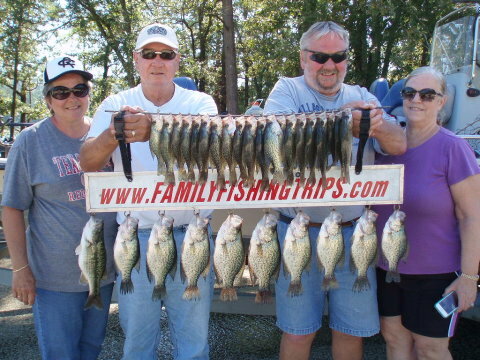 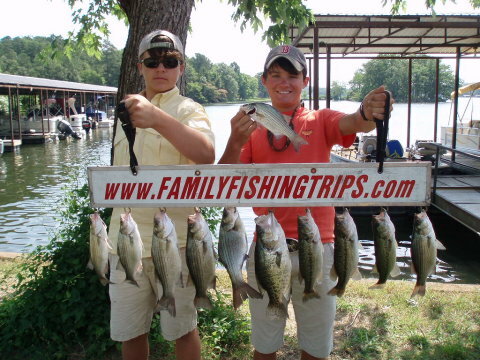 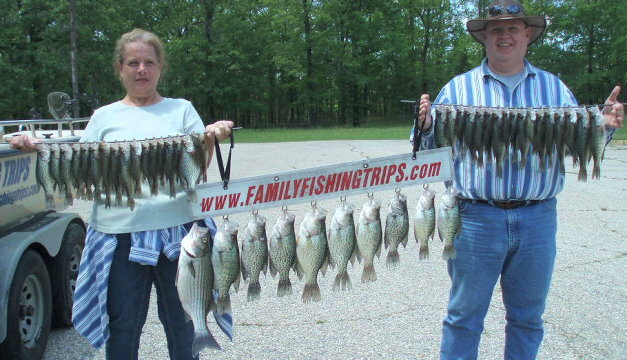 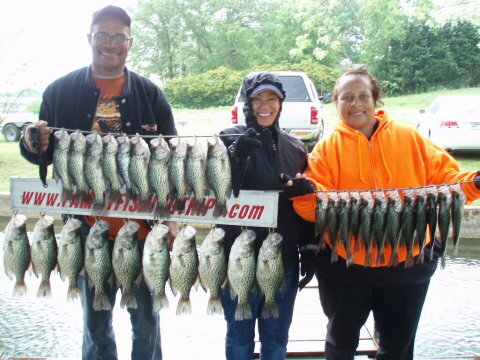 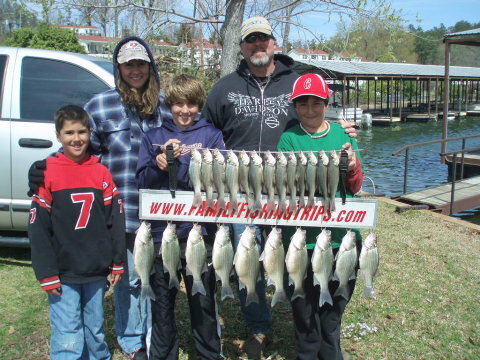 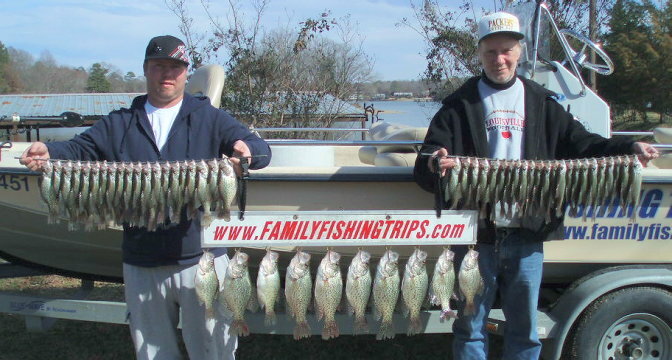 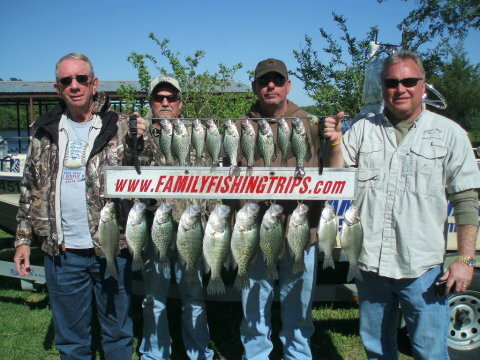 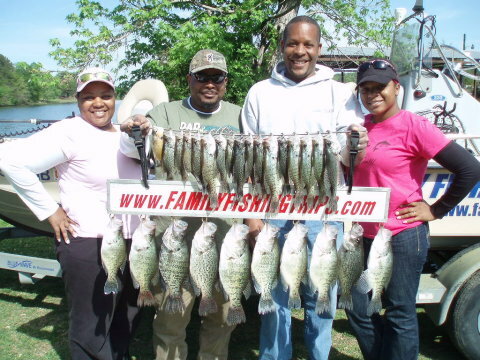 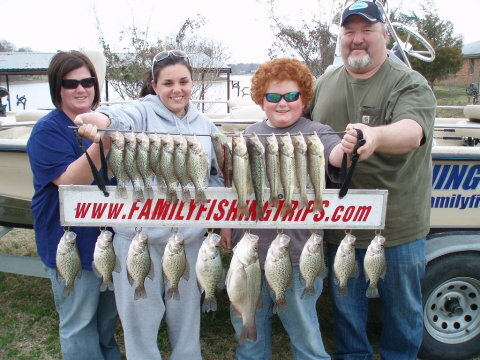 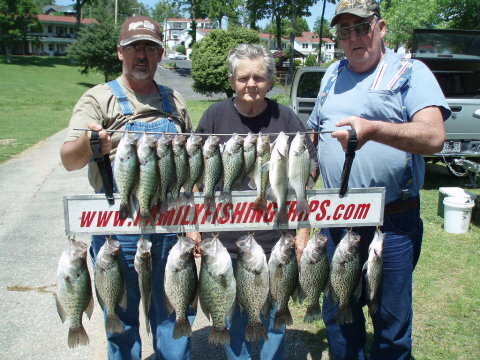 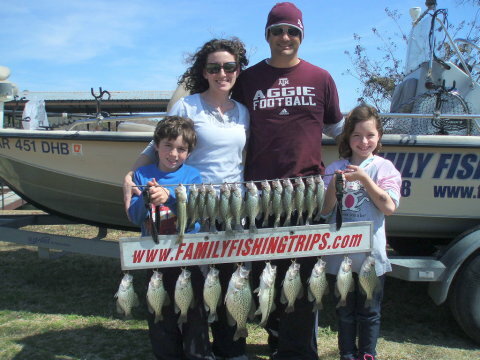 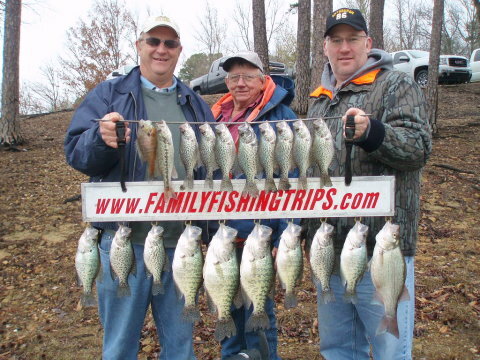 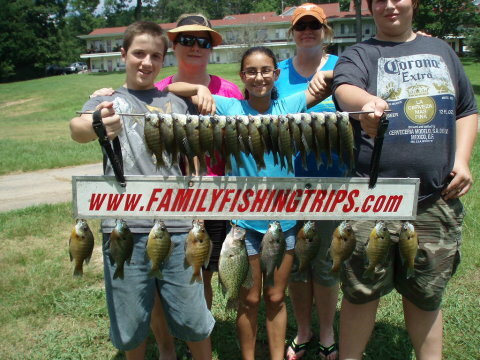 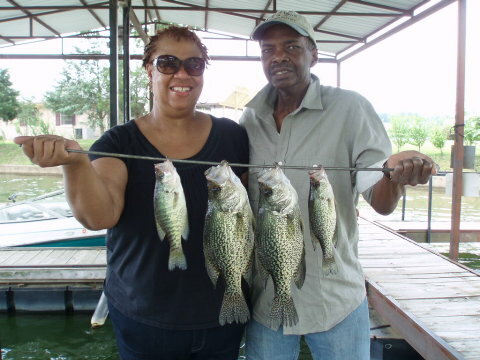 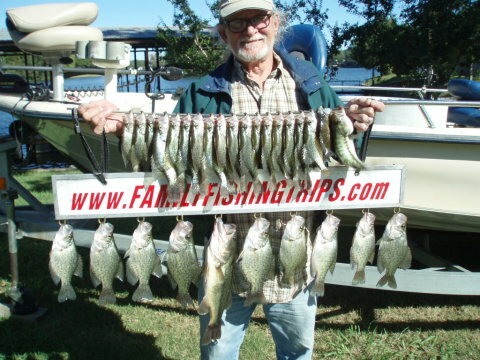 The Fall Feeding Frenzy is just around the corner, so get your trip booked early so you can get the day you want. 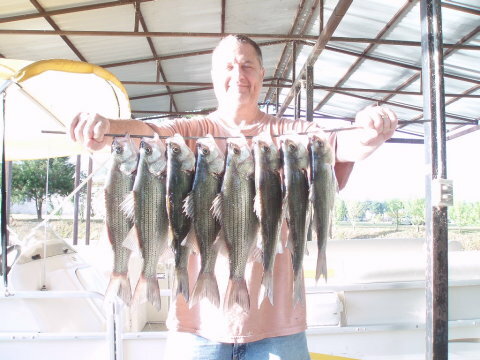 And, as you can see, with the help of some seasoned spear fisherman, limits can be achieved in just a few hours. 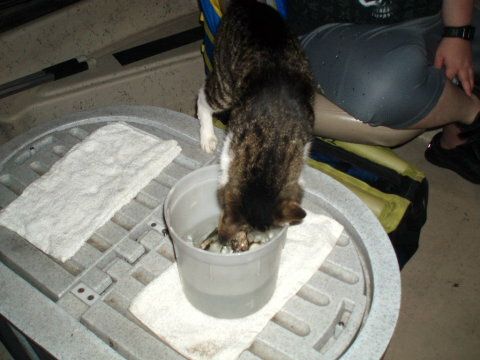 The fish are there, we just have to go and catch'em. 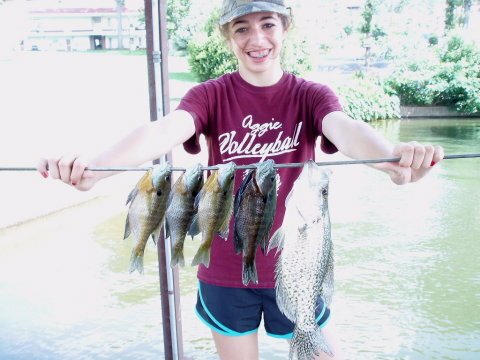 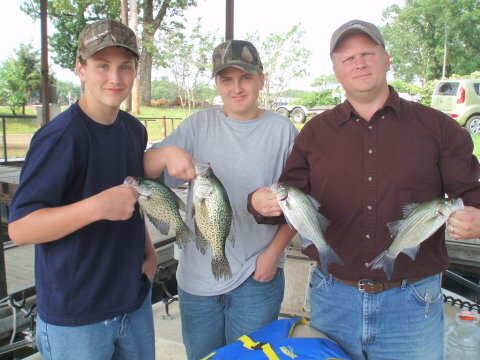 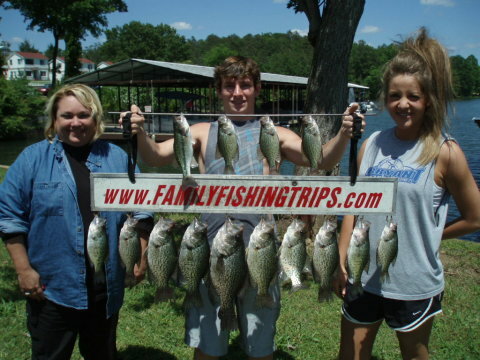 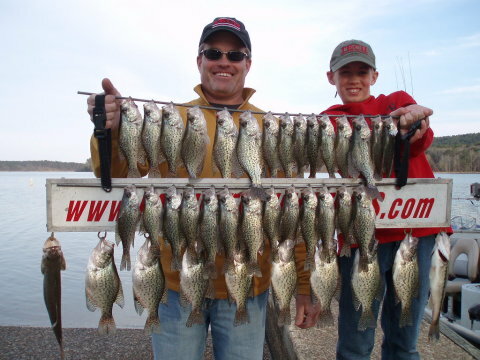 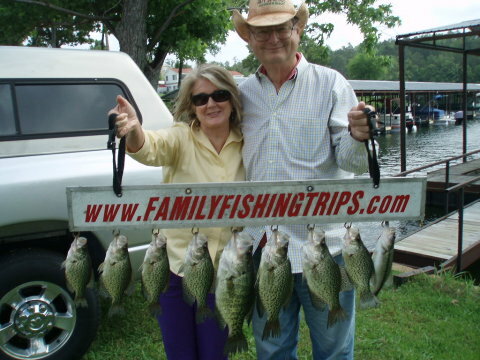 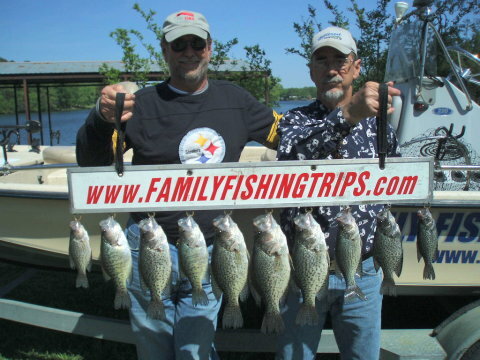 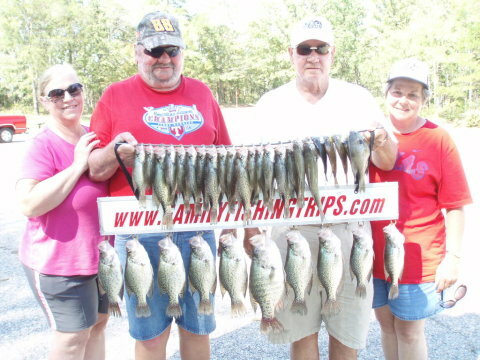 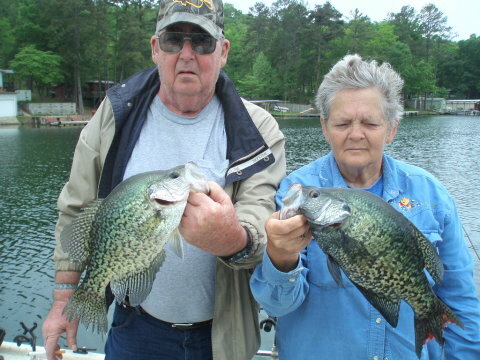 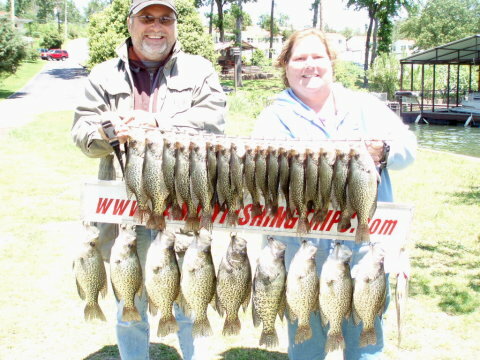 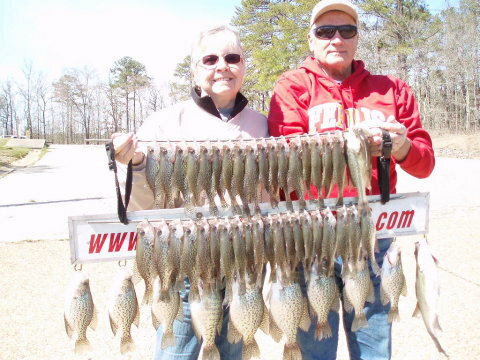 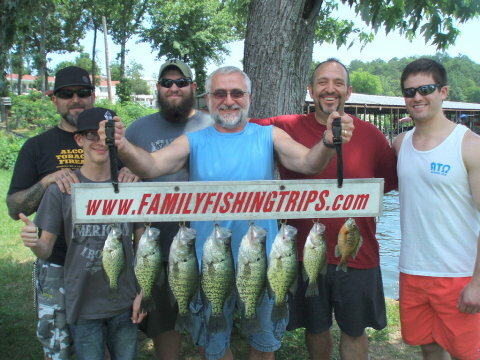 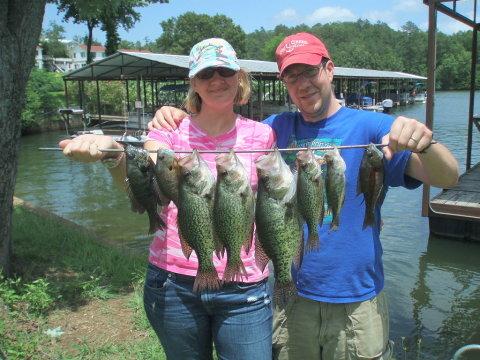 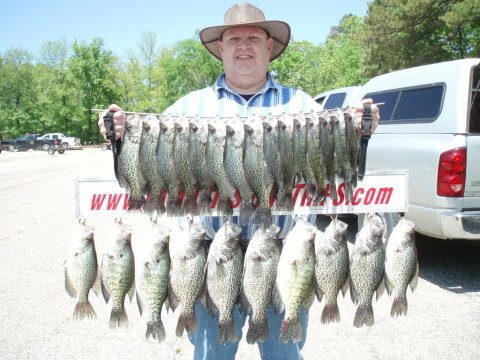 Lake Hamilton Crappie up to 15.5"
Lake Hamilton Crappie up to 16"